Oral hygiene is something that we should all take seriously, and this has been true for decades. What has changed in recent years is that technology is making it easier than ever before to properly care for your gums, teeth and other parts of your mouth. Even though it may not seem like an area for the deployment of advanced devices, the truth is that there are plenty of products on the market that aim to make it convenient and fun to safeguard your oral health. Better oral health often leads to better health overall so, it’s important not to skimp on it. Daily brushing is one of the repetitive chores needed to maintain your teeth in good condition. Toothbrush manufacturer Oral-B has brought a new Bluetooth-enabled toothbrush and matching mobile app to the market. This SmartSeries 7000 toothbrush monitors and records metrics regarding how you brush your teeth. It calculates the average length of a tooth-brushing session and will tell you in real-time if you’re brushing too hard or not vigorously enough. You’ll even get a notification on your smartphone or other mobile device if you haven’t brushed in a while. This advanced toothbrush retails for around $160. While the functions of the Oral-B SmartSeries 7000 seem quite impressive, the Toothscan appears primed to take things to the next level. Currently under development with an Indiegogo campaign, this revolutionary product is expected to be released in late 2015. It is shaped like a toothbrush, but offers quite different functionality. The Toothscan emits a pulse of light, which bounces off the user’s teeth and is then recorded by the device. 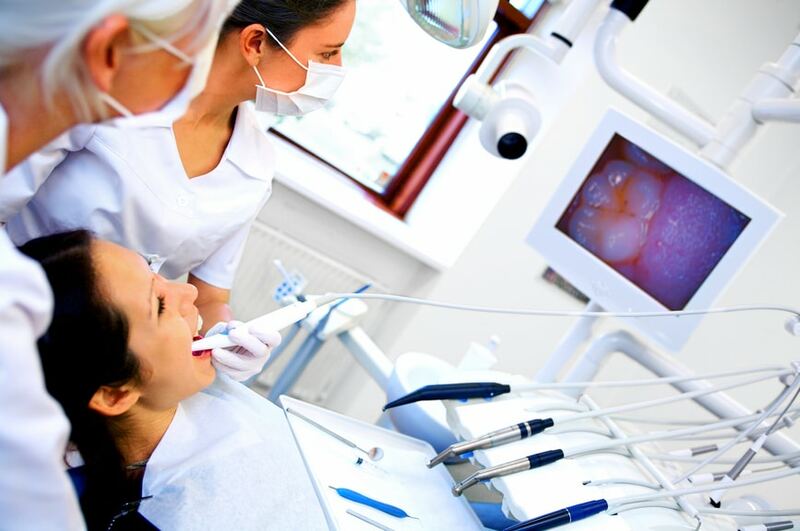 By using advanced spectroscopic techniques, the Toothscan will be able to identify and alert people to potential oral health problems. The product is aimed at dental care professionals as well as regular individuals. By making frequent use of this diagnostic tool, people will be able to use the information provided to schedule a dental visit whenever the Toothscan determines that they’re at risk. There are plans to establish an online service that will allow users to review the condition of their teeth over time. The expected price of the Toothscan is $149 plus $25 for shipping. Although toys for adults are pretty popular these days, they do little to address a large segment of the population that is widely believed to not care much at all about dental health: children. The Grush toothbrush, also an Indiegogo project, aims to change this. As kids brush their teeth, they’ll be simultaneously playing the included video games. By mounting their mobile devices on the bathroom mirror while brushing, players will be able to view their progress in the game. The games are designed so that using proper brushing techniques will allow the player to achieve a higher score. The Grush Brush can be purchased starting at $49, and it comes with a parental dashboard app to enable you to keep track of your child’s progress. These new developments make it more exciting and agreeable for people to perform the traditionally boring tasks related to oral hygiene. By raising awareness of dental health, they could lead to a population that takes better care of its teeth. These benefits are likely to increase over the coming years as the technology develops further and becomes more affordable.